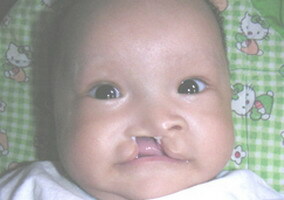 Rachaneekorn Wimonrat, from the Mae Jan District of Chiang Rai province, was born with a cleft lip and palate in another province in Thailand. 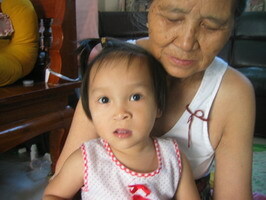 She was brought to live with her grandmother in Chiang Rai shortly after her birth. 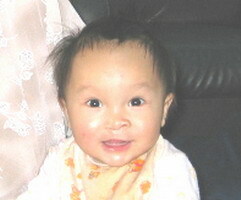 Her lip was repaired when she was 4 months old and her palate was repaired when she was one and a half years of age. Now at age 9, Rachaneekorn attends the Thai speech camps with her grandmother, Ms. Saengda, who makes snacks and herbal drinks for sale in the Mar Jan District. Ms. Saengda has volunteered to cook alongside the patients and make local snacks from rice flour, coconut, green bean. The children really enjoyed making these snacks. Apart from being a distraction for the patients, it also serves to educate attendees about proper nutrition and serves as a way to bring patients together to share their experiences. Nutrition is an important component of proper development and preparedness for cleft care, so our partner thought this was a great way to bring patients together while also talking about nutrition. On hand at this camp was a nutritionist and a nurse from Overbrook Hospital, as well as Ms. Tanyaratch, a social worker from NWDF, who facilitated a discussion about proper nutrition during pregnancy.